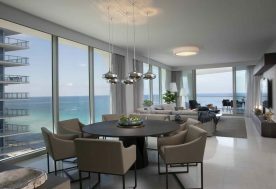 Located in the exclusive Jade Beach in Sunny Isles Beach, this vacation home is a dream retreat for an international family. 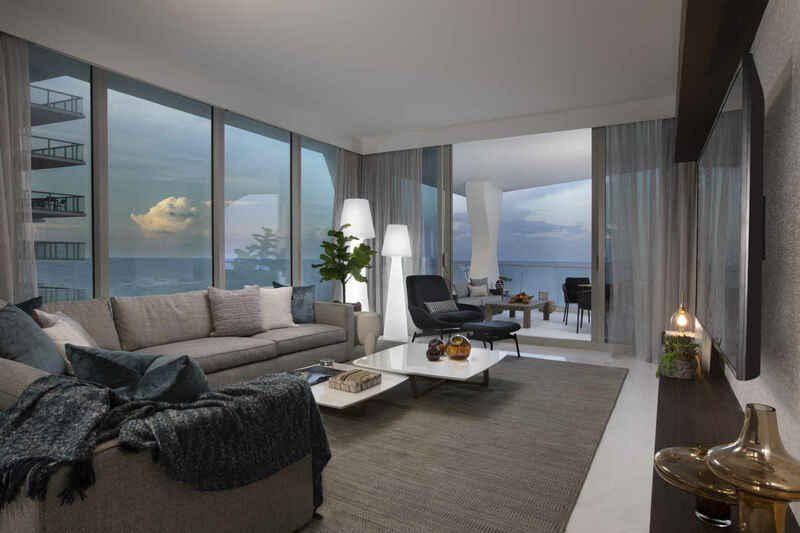 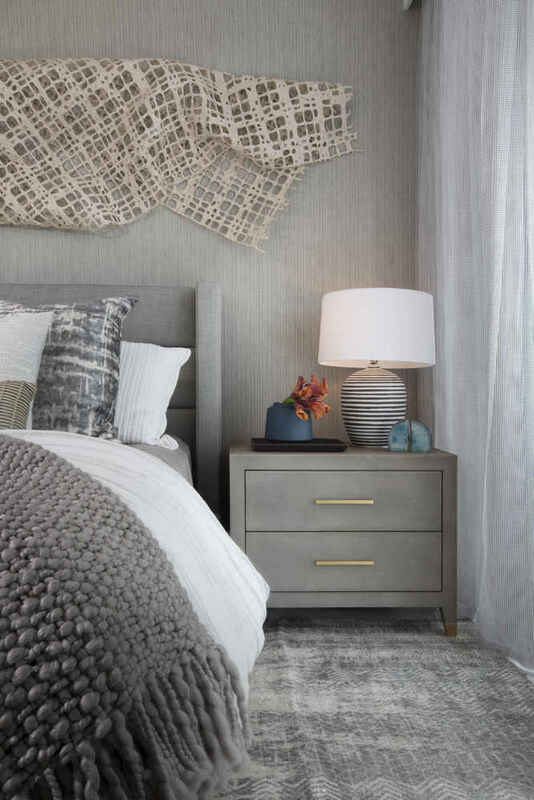 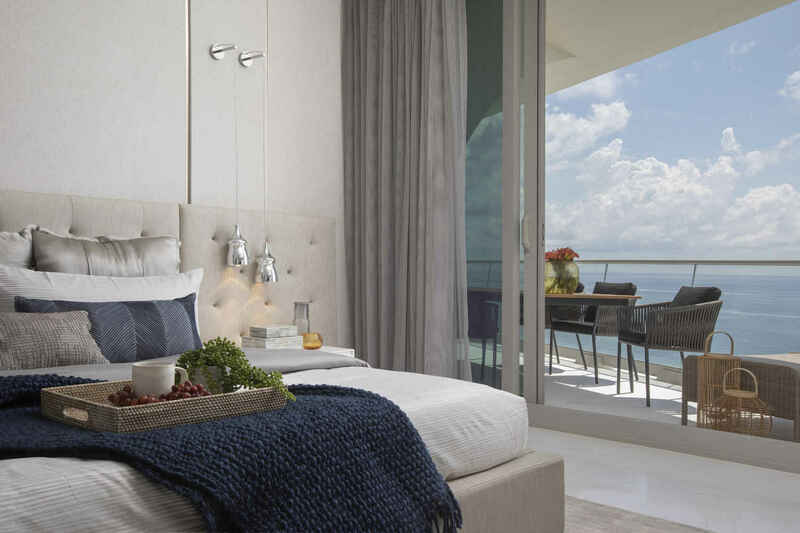 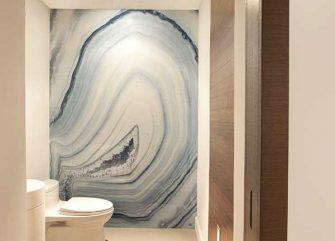 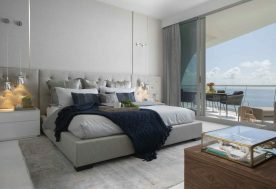 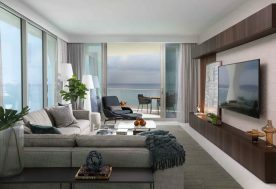 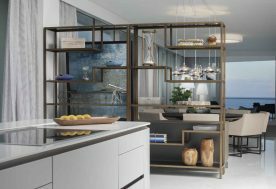 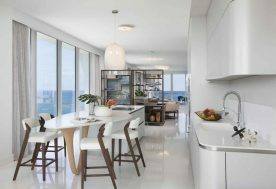 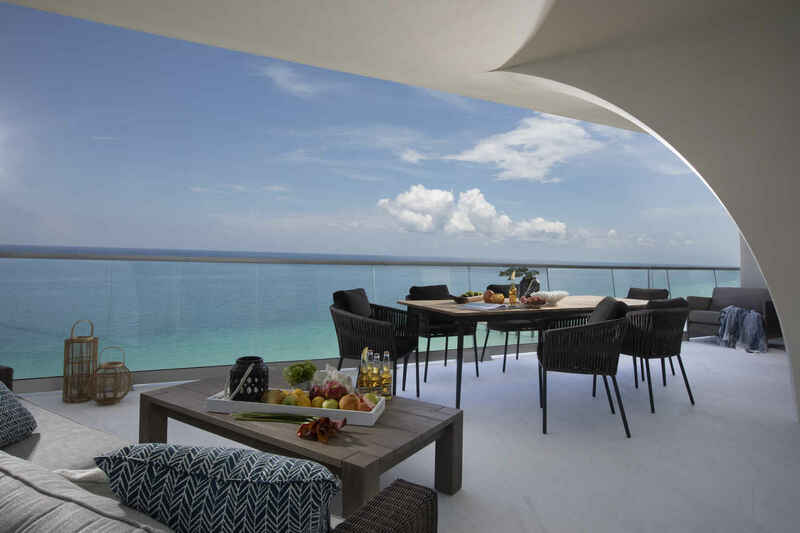 Our team is turning a 4,346-square-foot Sunny Isles condo into an ocean-inspired haven. A modern take on nautical, each room in this home represents either the beginning, in-transit, or destination phases of traveling the high seas on a sailboat. 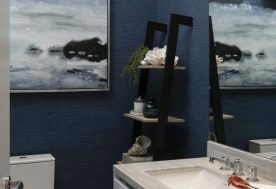 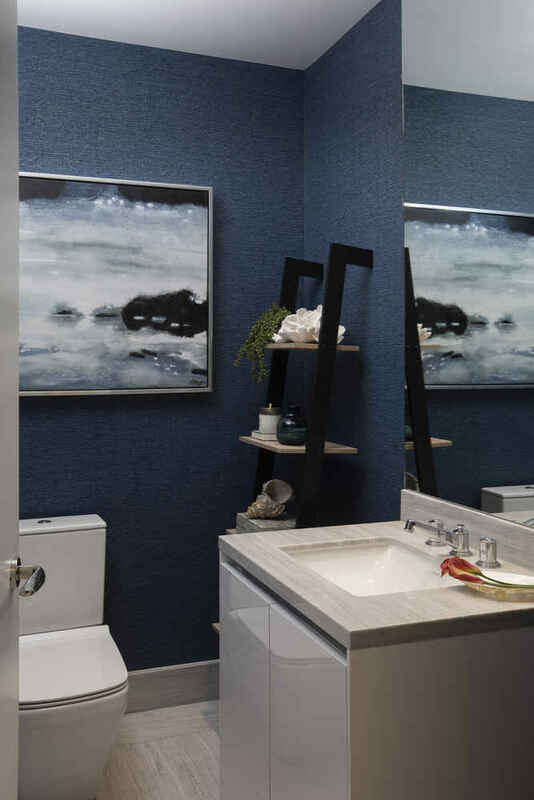 To accomplish this, our team is blending natural materials and finishes, from bleached oak to rustic to walnut, and incorporating a variety of blues into the design. 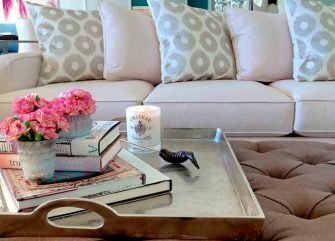 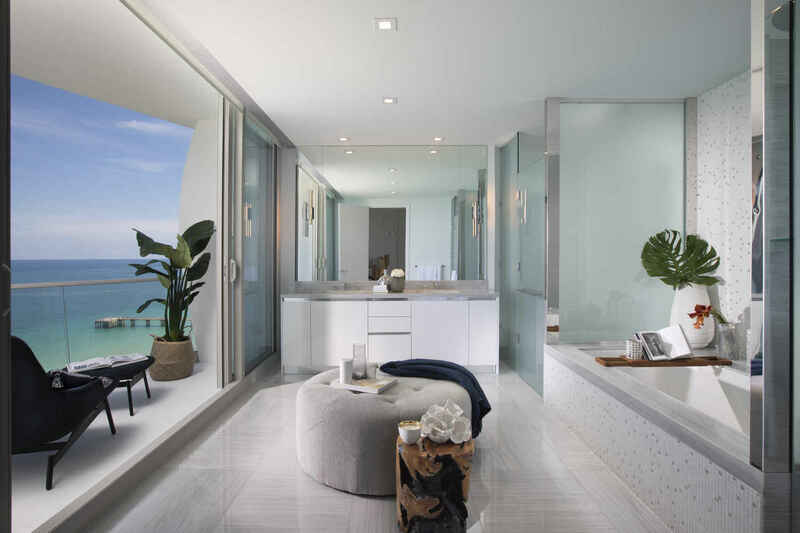 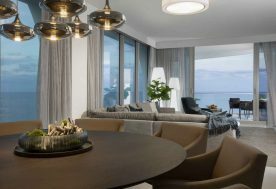 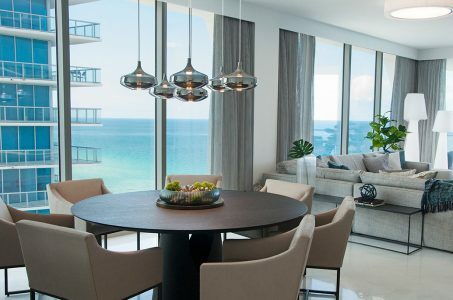 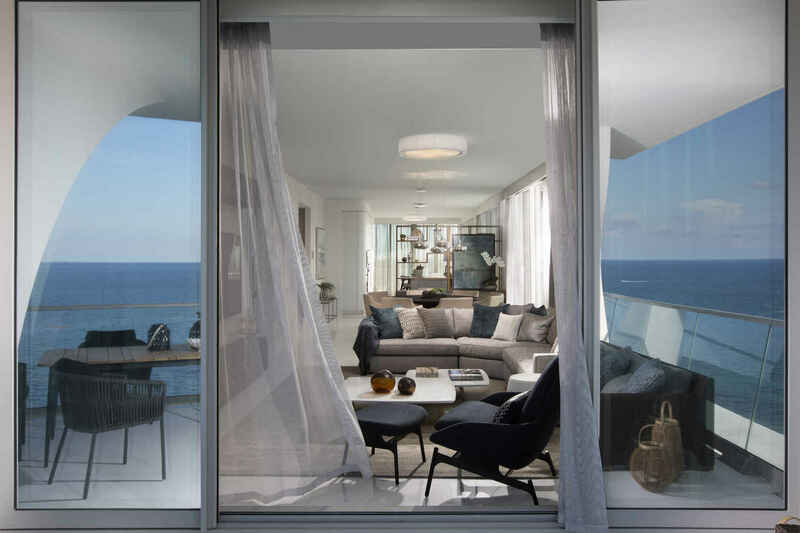 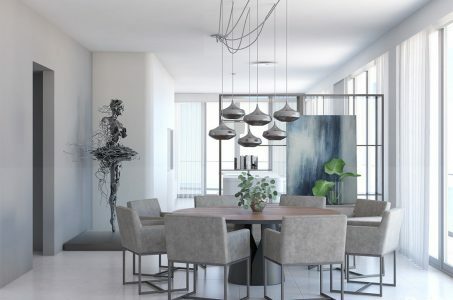 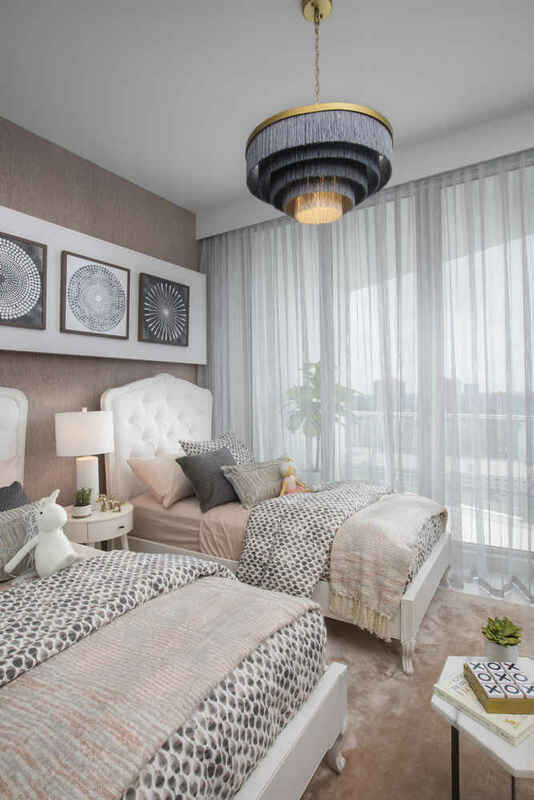 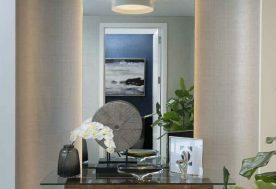 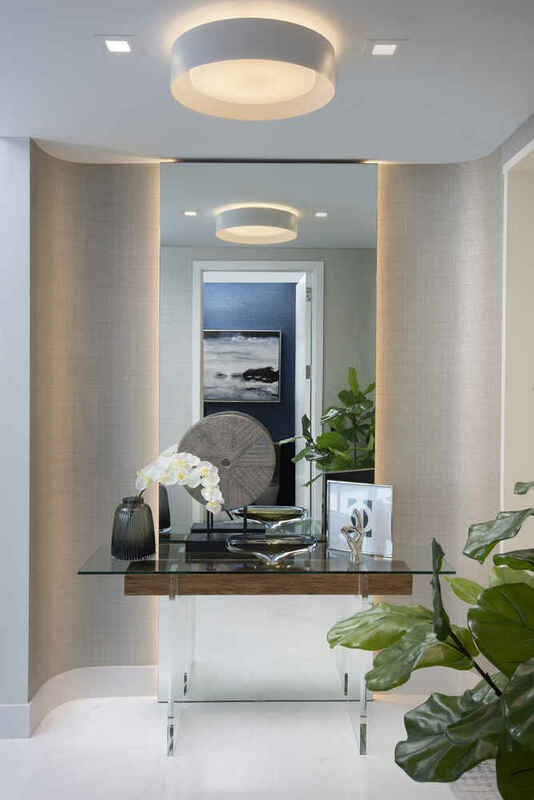 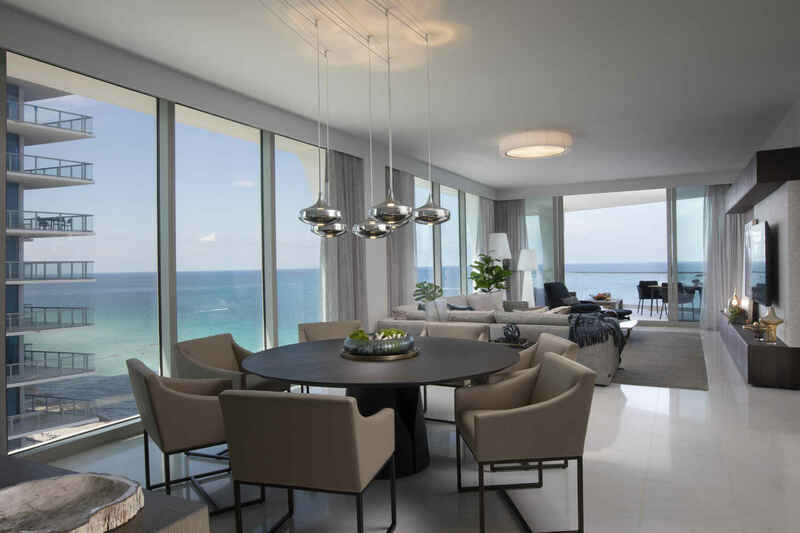 DKOR Interiors provided interior design for living areas and decorating services for the bedrooms and several additional spaces—living room, dining room, kitchen, and even the outdoor spaces— in this waterfront condo on Sunny Isles Beach. Over the course of our work with this client, we developed a design concept that included custom furnishings, material specifications, as well as furniture and accessories selections. Our Sunny Isles design team worked with this family to create their dream vacation home in Miami’s Sunny Isles Beach. 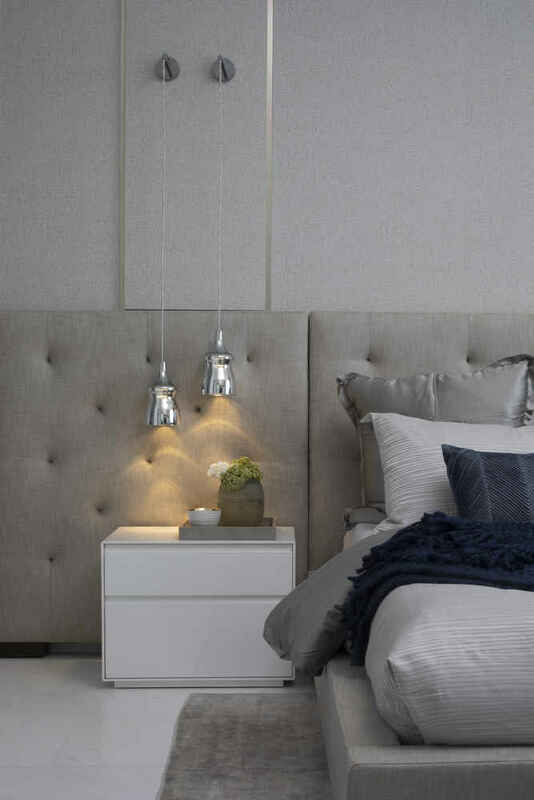 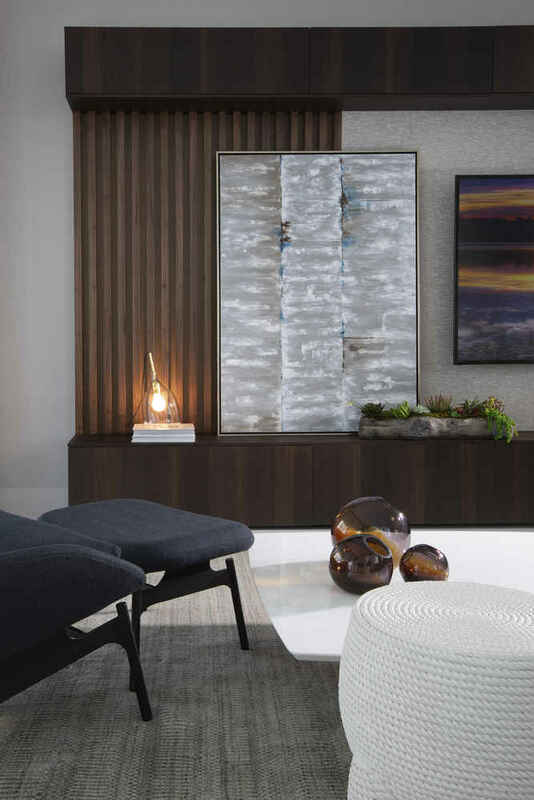 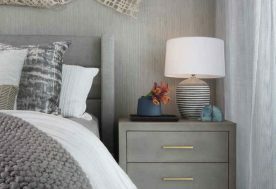 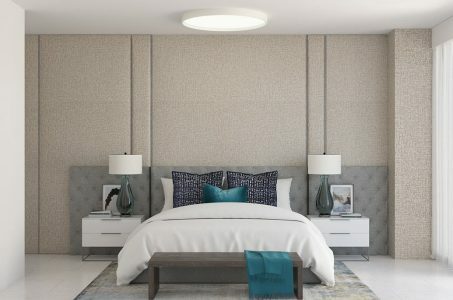 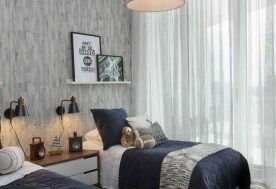 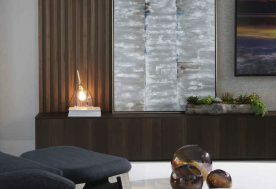 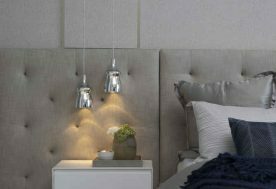 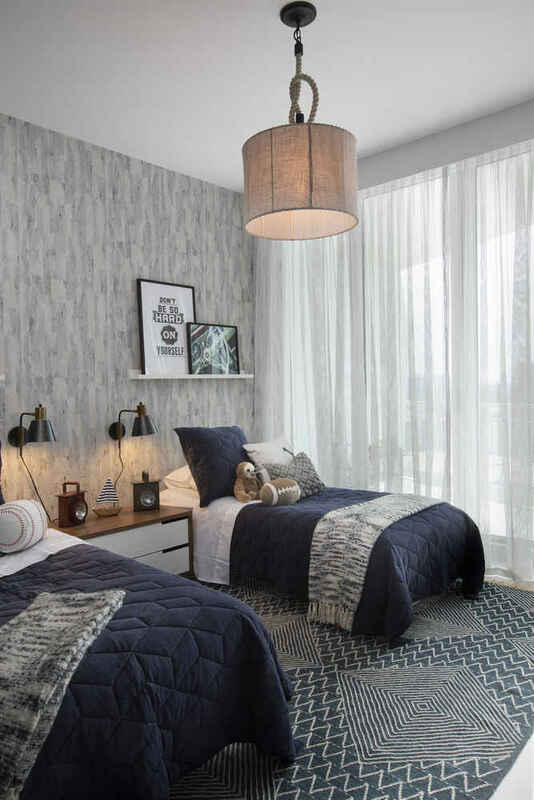 Each space was meant to encourage rest and relaxation through calming modern style, streamlined furniture selections, and a tranquil color palette. 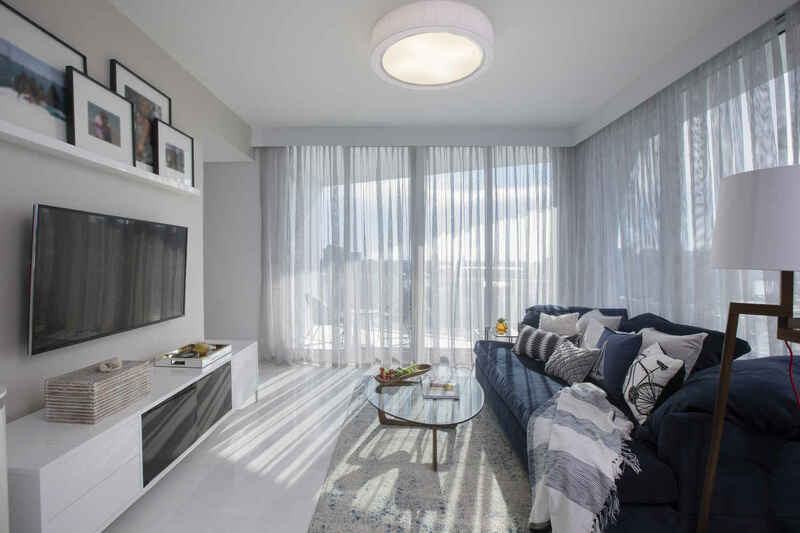 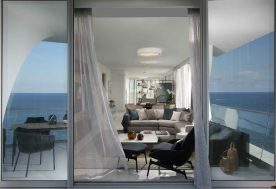 Functional interiors enhance every interaction between family members and their visitors, making the most of the apartment’s spaces and stunning views of the Atlantic Ocean. 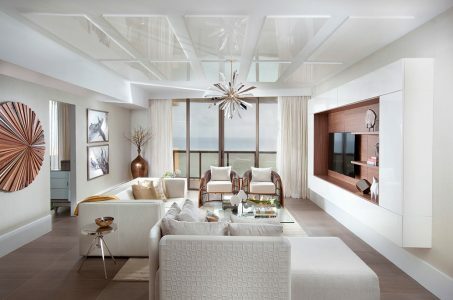 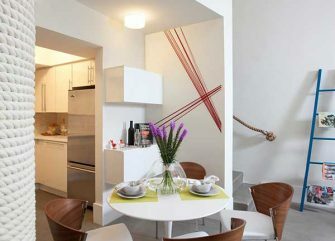 The condo featured a large rectangular great room, meant to house the dining room, living room, and kitchen spaces. 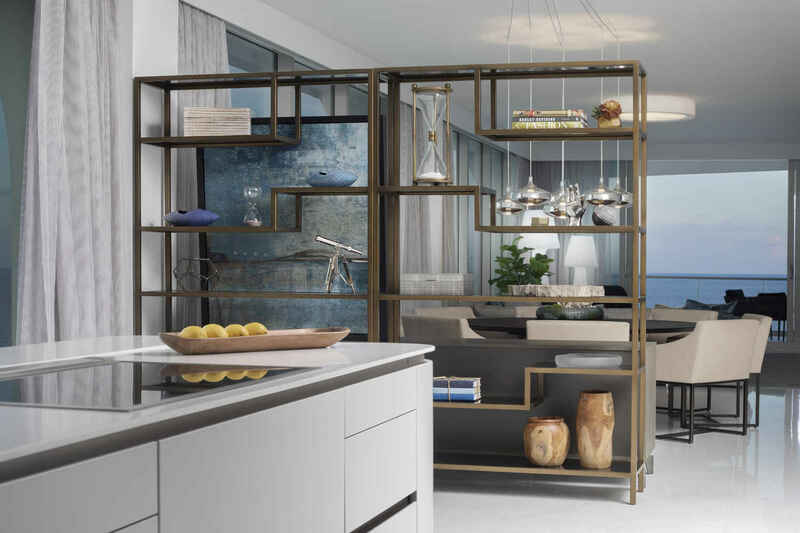 Our team’s goal for such a large open-concept space was to break up the room to create individual areas without losing the openness. 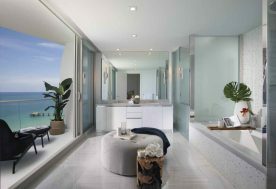 We accomplished this through careful space planning and material and lighting selections.